I still remember when I was kid and I had to remove the frogs trapped in the pool of my parent’s house. I was very scared of doing that! I would use a long stick and try to avoid the frogs when I would take them out of the pool and place them in the garden. Sometimes I even used bags and tick gloves to touch them. My first direct contact with a frog was when I put my naked foot into a boot and a very cold frog was inside – my heart almost exploded! 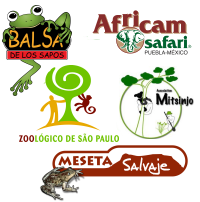 I have a dream – to have a Bolivian team working together, with the support of the Bolivian Amphibian Initiative, for the conservation of Bolivian amphibians. After some years, I became used to these small animals and even found some attractive aspects of them. On a couple of occasions, I even kept some tadpoles and frogs in aquariums, adding to my pet collection. Contact with animals and nature led me to study biology. In 1998 I met a Belgium friend that introduced me to the world of amphibians. We used to go for weeks to different areas and forests in Bolivia, just in search of frogs. We learned to identify them with a black and white copy of an amphibian field guide. To make matters more interesting, the field guides were in English, although I only knew how to count to five in English. Since that experience, I started to work with amphibians and reptiles. In 2001, I carried out my thesis with amphibians and reptiles from a protected area in the south of Bolivia. I learned a lot, and then the same year I participated in a two-month expedition with researchers from the UK where I had the chance to see from a privileged perspective the life and situation of Andean amphibians. Two years later I started to work with some of the members of this expedition, and for the next couple of years, that project gave me the opportunity to see more than fifty sites across Bolivia, including its amphibian diversity and also the problems that some populations were facing. In 2006 I had the chance to participate in the amphibian conservation course at Durrell Wildlife Conservation Trust in Jersey, and this experience changed my life. Once I came back to Bolivia, I wanted to be an amphibian conservationist. Unfortunately, nobody was working in amphibian conservation in Bolivia at that time, so I decided to create the Bolivian Amphibian Initiative. This was a one-person project for some years but it has slowly grown, especially after the amphibian training courses I organized and coordinated in Bolivia, some with Durrell. This project was a great experience where I was able to see the real situation of amphibians in Bolivia. For that reason I decided to focus my work in the Andes and mainly with the genus Telmatobius. During this period, and together with our team, we obtained important data about endangered amphibians and provided this information for the Bolivian Red List, the Bolivian Amphibian Action Plan, and also to prioritize amphibian conservation actions in Bolivia for decision-makers and different organizations. 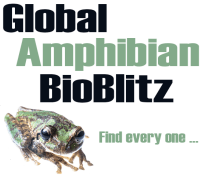 I also became co-chair of the Amphibian Specialist Group and have worked to build a network of top amphibian conservationists in Bolivia and South America. In 2013, I started my PhD at Ghent University in Belgium, working with the Titicaca Water Frog, an experience that has given me the opportunity to use technology and knowledge in other areas not available in Bolivia to better understand this species and the problems it is facing. 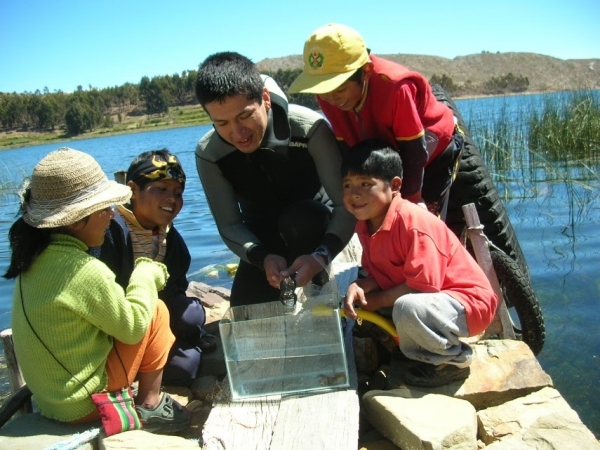 Now after almost ten years of raising awareness about this initiative, a lot of students, volunteers and colleagues are working for the conservation of Bolivian amphibians. My dream is to have a Bolivian team working together, with the support of the Bolivian Amphibian Initiative, for the conservation of Bolivian amphibians.